I always wonder what modern F1 rides would look like without all the ugly sponsorship logos. 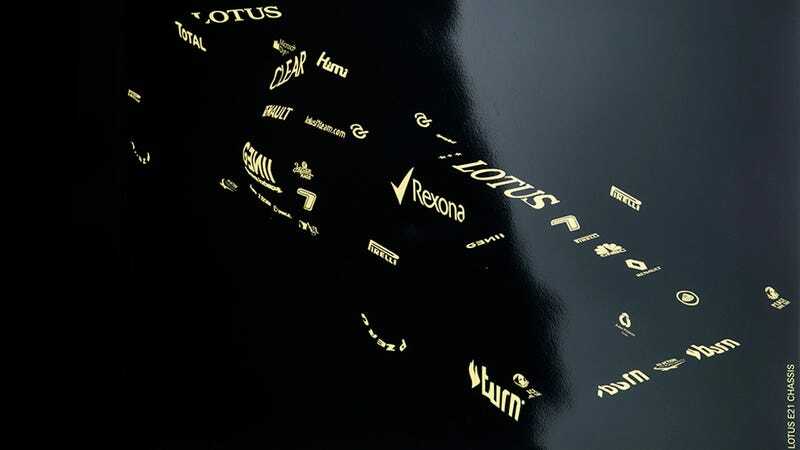 One artist imagined the sponsorship logos without the cars, and the result is surprisingly cool. This is Yoni Alter's look at the 2013 Red Bull, McLaren, Ferrari, and Lotus cars, keeping the sponsorship logos and taking the cars away. They all look awesome, the Lotus in particular. You can order these as prints right here, and you can order that Lotus design as a sweet t-shirt right here. These are really cool. Can still see that shape of the cars even though it is just sponsors.